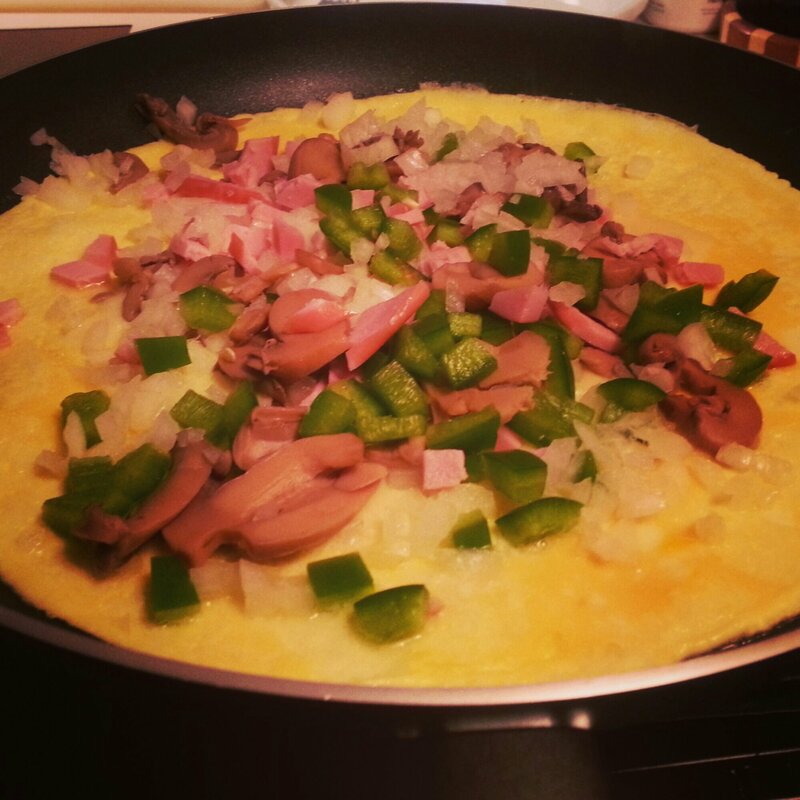 Stevo’s First Ham & Cheese Omelette! 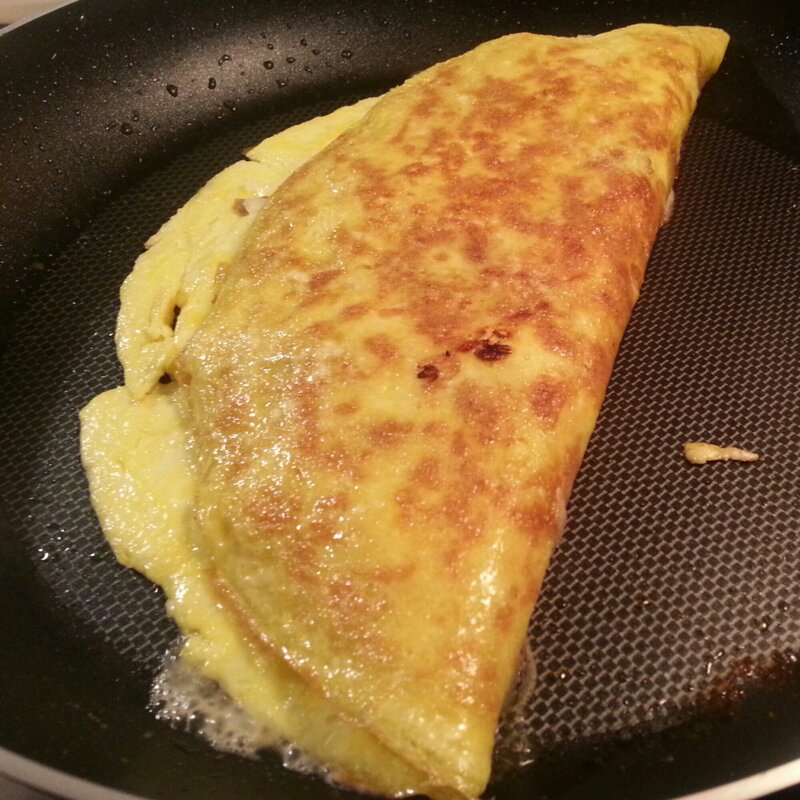 OK, so maybe not his first ever, but his first using a pan, instead of the 30 year old ‘Omelette’ maker, which was essentially an electric rectangle thingy that didn’t make a pretty omelette and took up way to much cabinet space. When I worked for Marriott and we had to cater Sunday brunches, I’d beg to man the pasta or carving station because omelettes scared the crap out of me. Hungry people, generally hungover from the previous night’s wedding, standing in a line, waiting for you to produce a beauty. Well it never happened. If I wasn’t dropping a full tray of champagne glasses on the dance floor, the night of the wedding, I was definitely going to turn their breakfast into a sloppy pile of eggs. Stevo was determined to master the art so a few YouTube videos later, here’s what I came home to, tonight. Whisk the eggs well. Add the water and whisk again. 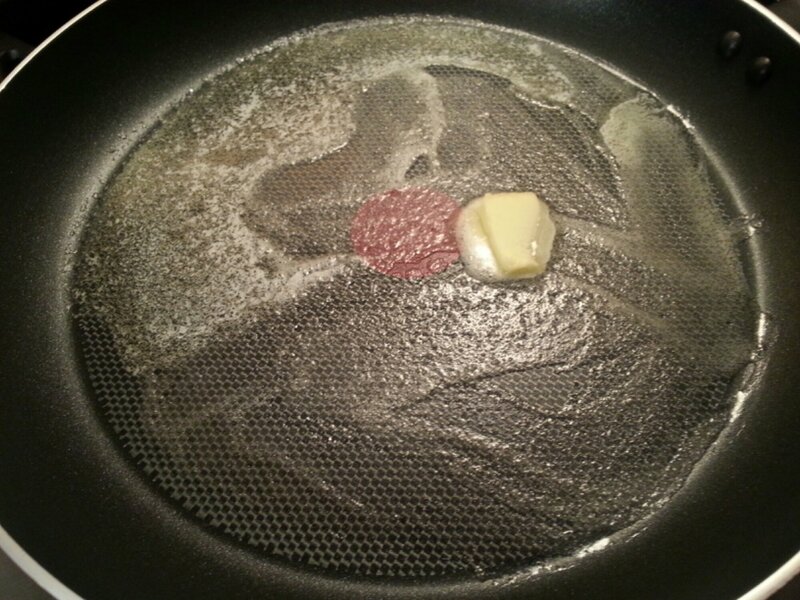 Heat the pan over medium high heat and add the butter. 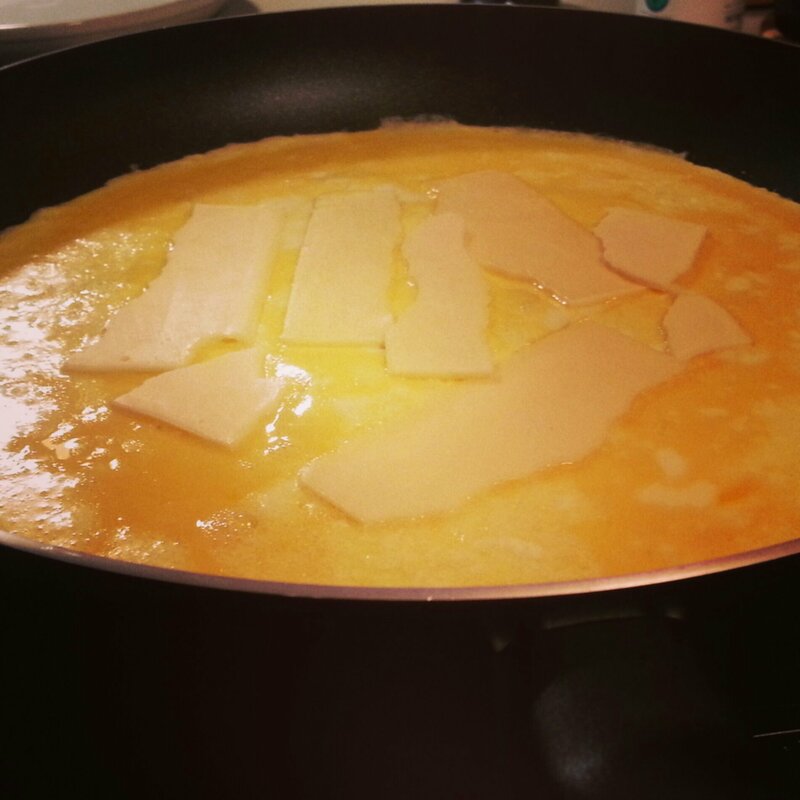 Once melted, pour in the eggs. 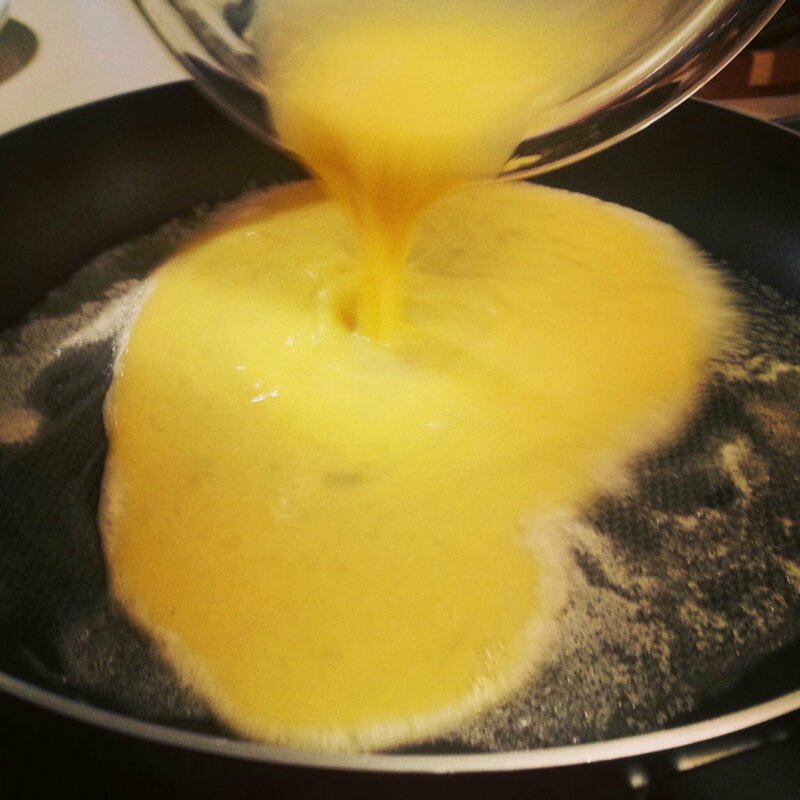 Swirl the pan to be sure the eggs are evenly spread out. After a couple of minutes, keep an eye out for any bubbles. Pop any bubbles with a fork. 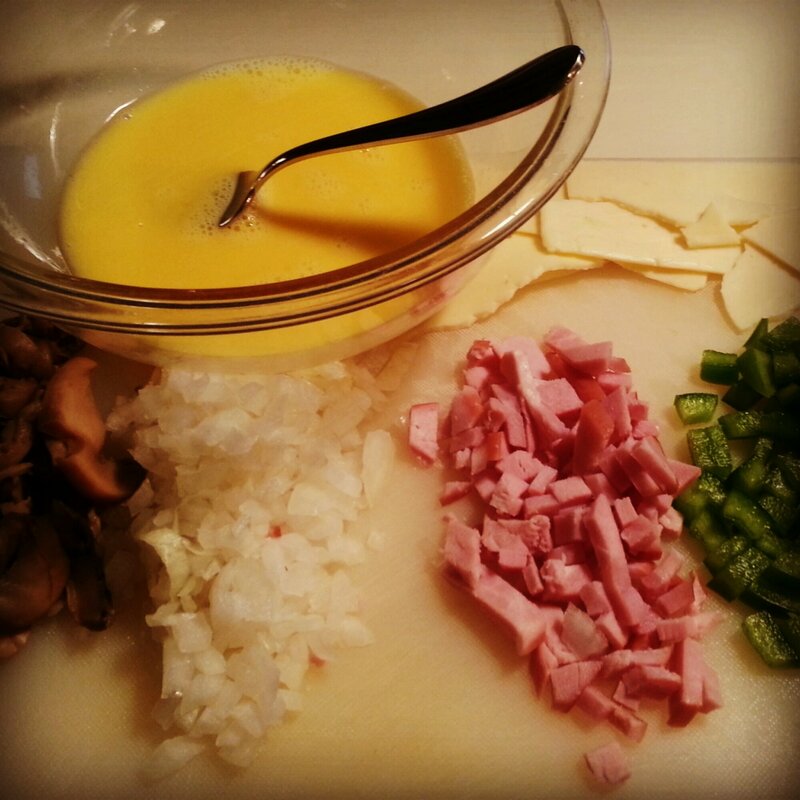 Add your cheese, cover for two minutes, then add the onion, bell pepper, ham and mushrooms. Cover for 2-3 minutes. Take a Teflon spatula and check a corner for browning. Once it’s golden brown, flip one half over the other. Let it sit for another minute or two then slide into your plate. Naturally, in the Noel household, a whole bottle of hot sauce is required. 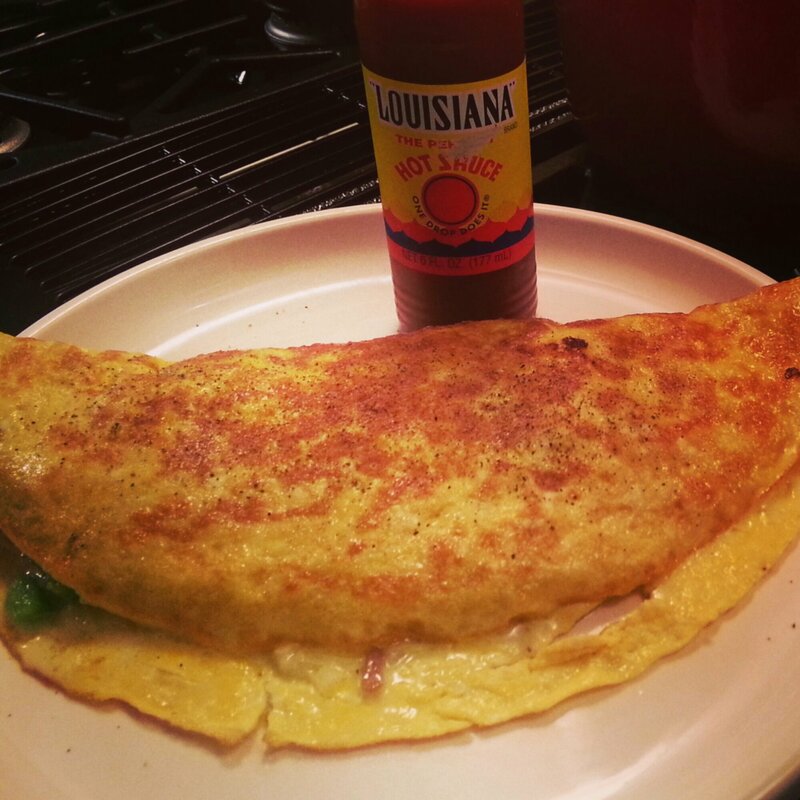 I didn’t partake in the omelette fun…. I’m not a fan, yet adore scrambled eggs. Go figure. Well done, Stevo, well done!